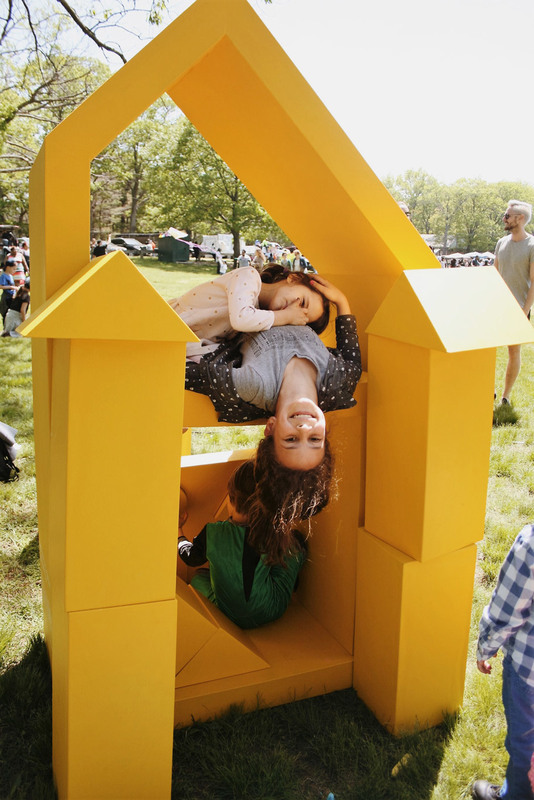 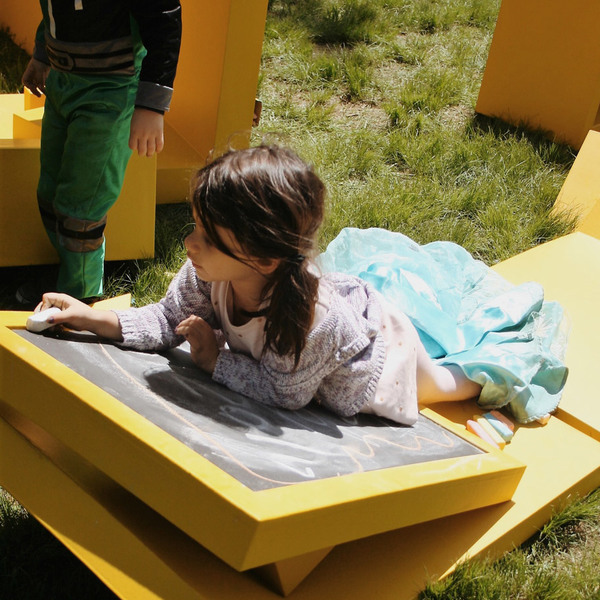 Made up of just 63 plastic pieces, Kit of Parks (KoP) brings immediate doses of color, whimsy, and experimental fun to Franklin Park, an area that serves communities with the lowest availability of park amenities in the Boston area. 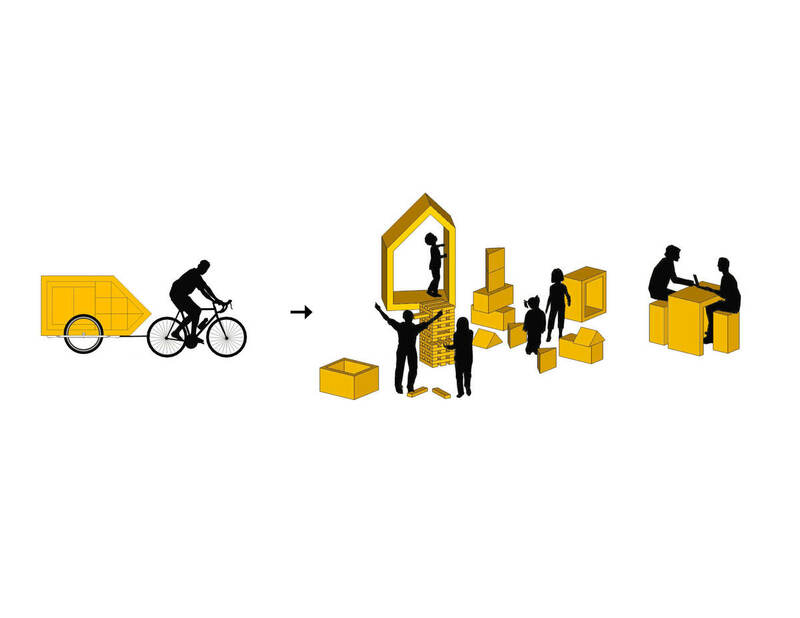 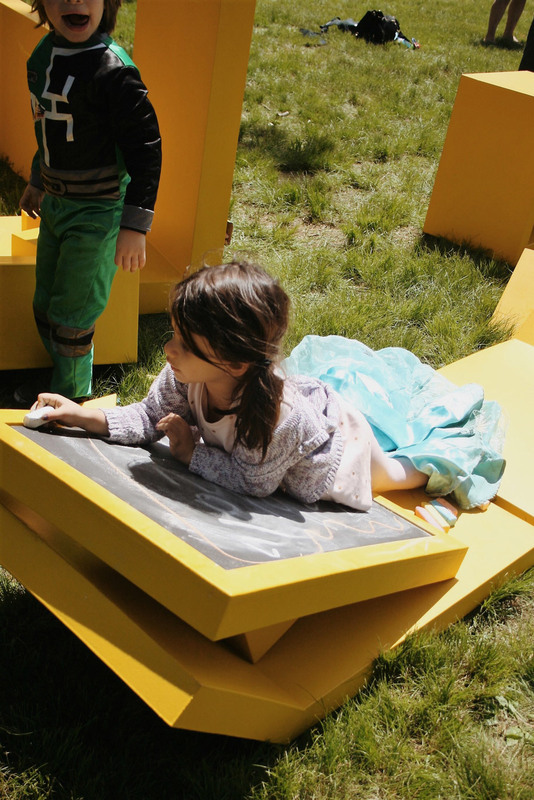 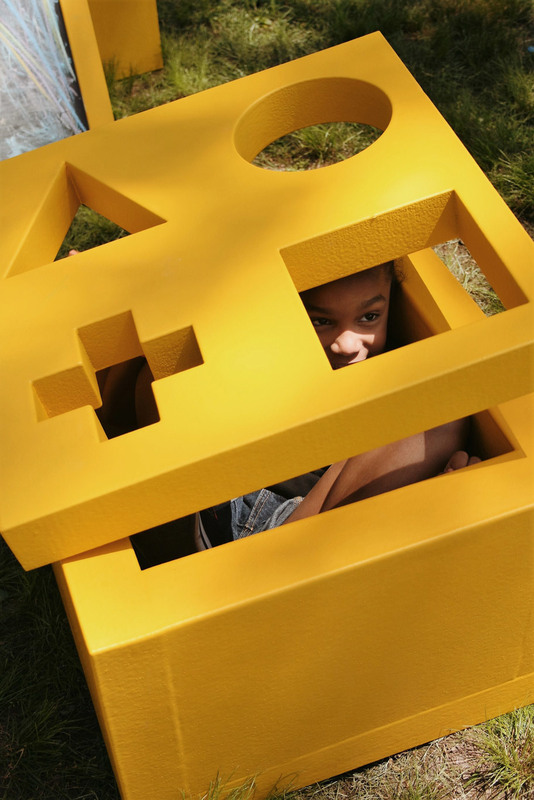 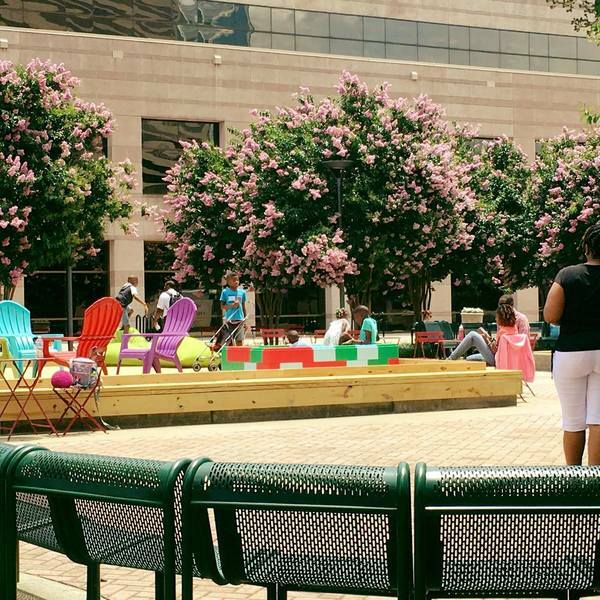 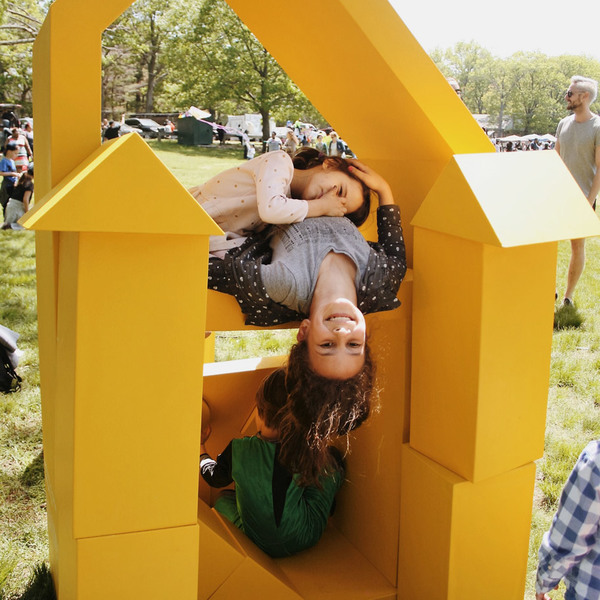 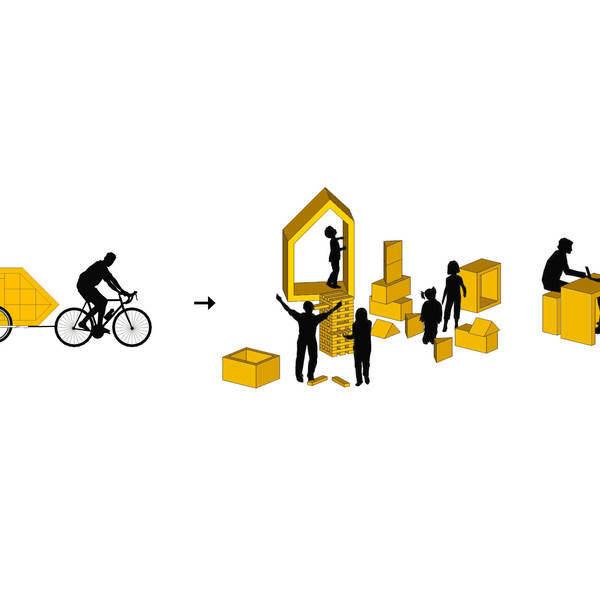 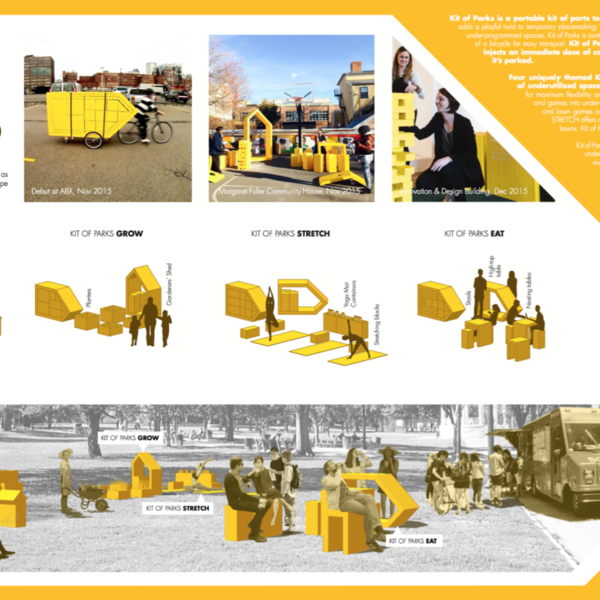 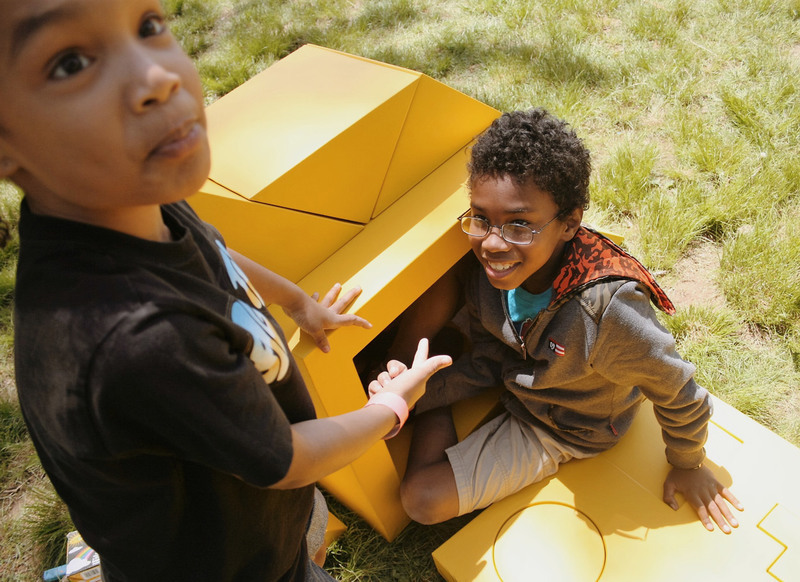 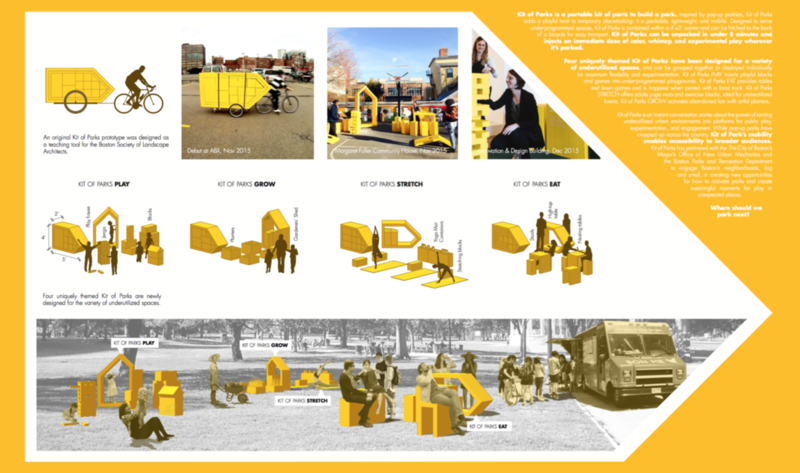 Inspired by pop-up parklets, KoP includes games, play blocks, stools and a table. 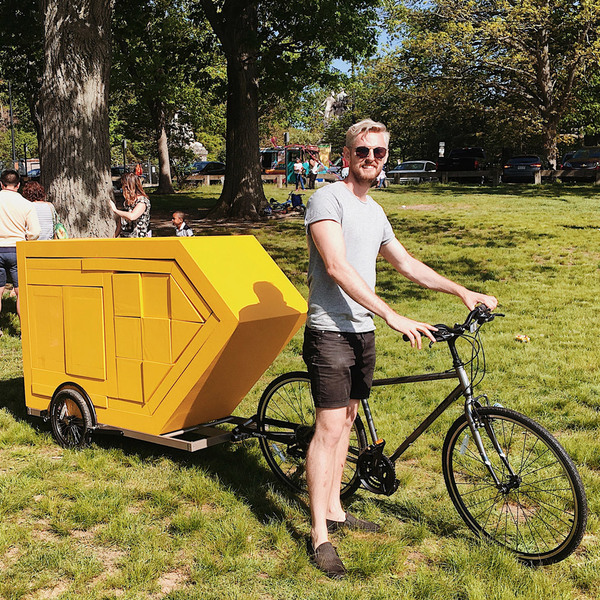 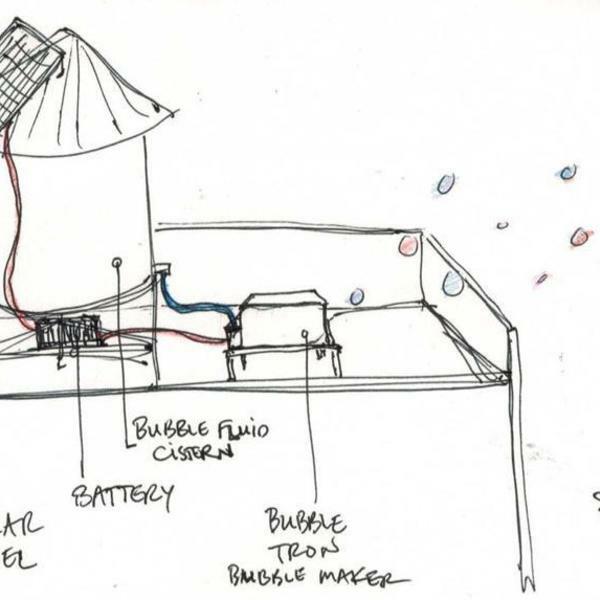 Contained within a 4'x6' carrier, the kit is packable, lightweight and mobile, and can be hitched to the back of a bicycle for easy transport. 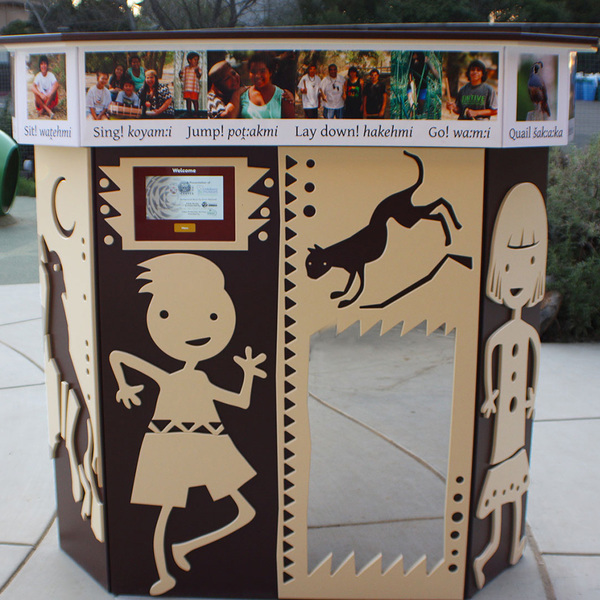 KoP is stored within Franklin Park and is frequently deployed to bring play opportunities to less-activated locations in the park. 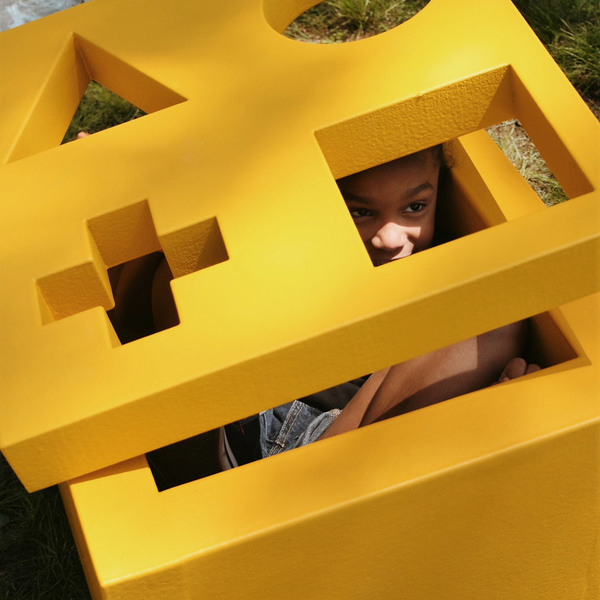 KoP createsa safe space for kids to play without much supervision. 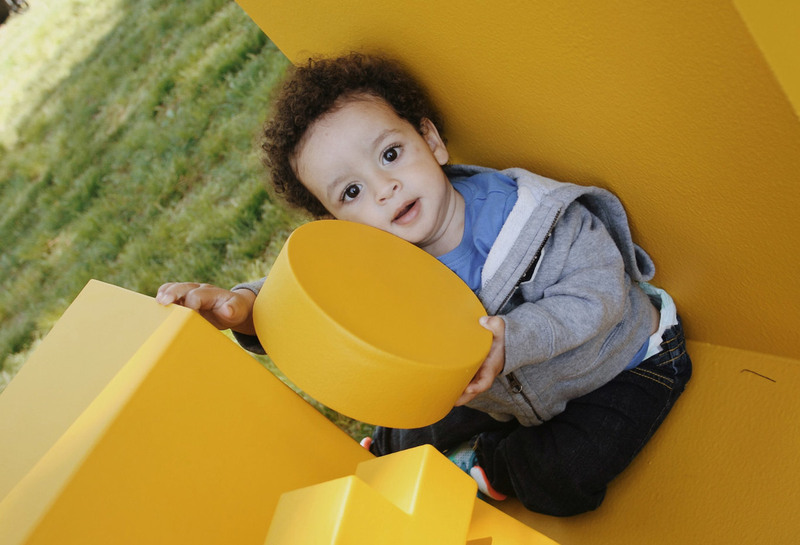 At times, up to 15-20 kids can create seemingly endless combinations with the different pieces. 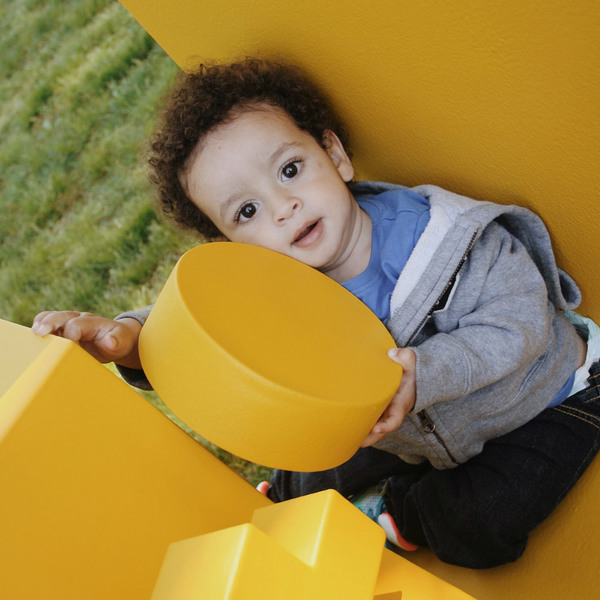 The project brought great joy and awe to those who participated in its implementation, and has provided the community with an outlet for unprescribed play.